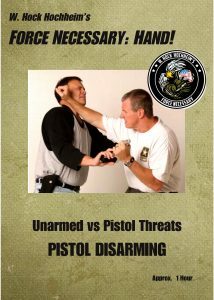 Pistol Disarms, Etc. in the Land of NO-Guns. – You get the picture. The blind, never-never land excuse. …speeches from all the world. 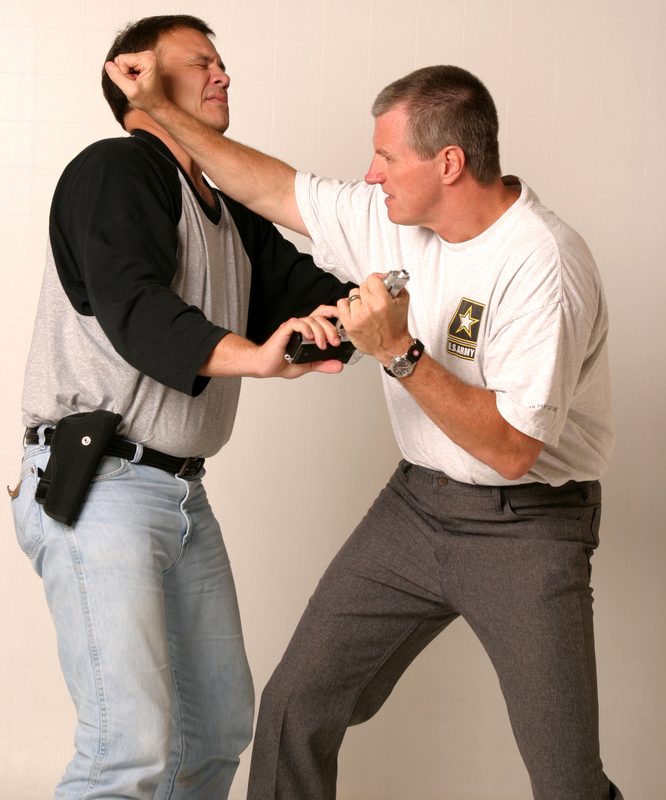 People doing self-defense yet don’t want to hear anything about guns (or knives too). It is ironic because many of the naysay, narrators also do various forms of Krav Maga – systems often chock, so chock full of pistol disarms, and some from the most bizarre positions. 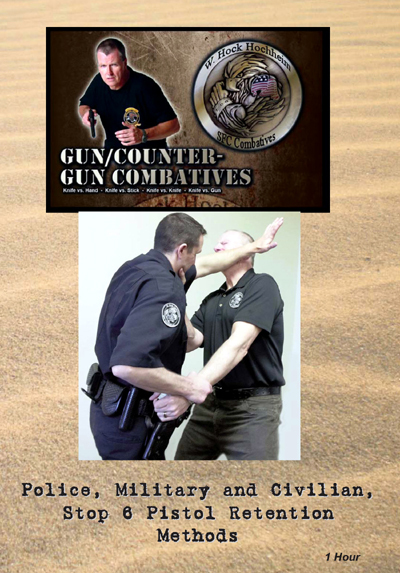 Whether you are a person doing martial arts that are supposed to be realistic too, or a Krav person, cop, or military, whatever, you are probably messing around with pistols and pistol disarms. Or you should be, even in the magical, lucky charms lands of NO-Gun. You’ll maybe do disarms, but it ends there. Does it? No. With a pistol disarm, 2 things will happen to the gun after you disarm. Two – …the gun will now be in your hand. Are they virgin hands? This is the point I am trying to get to. AFTER the disarm. Do you have gun-virgin-hands? SUDDENLY, no matter who you are, and where you live? What you say and think – you are now suddenly, like it or not, a “gun guy!” Do you know which end of the gun the bullet comes out of? How this gun works? Do you know where the “on and off” switch is (as USA Gun-God Clint Smith has nicknamed the safety. Is there one?) Does the gun need a real, quick, common, simple “fix.” You know what they are? And if the recently disarmed guy comes back for his lost gun? 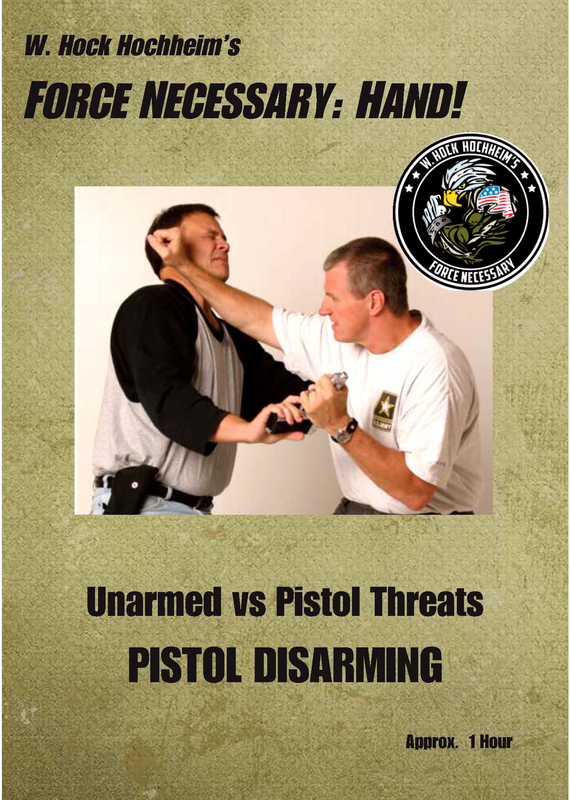 Now you have to worry about your “pistol retention” vs his “pistol recovery.” (two old, decades, decades old terms in the gun-fighting world. Ever heard of them? Heard of one? Not the other? ) These terms not in your language? The history of war and crime is replete with people getting the guns of other people and knowing, or not knowing, how to use them. Remember Tunisia? The Jihadist with a sub machine gun that killed all those people on the beach? The security guard with his own sub-gun, dropped the gun and ran away. A tourist to the rescue? A tourist picked up the sub-gun to kill the bad guy and…and…well…jeez. Couldn’t work it. The tourist was from a NO-gun country and probably never thought he would see, hold or use a gun. Surprise! Aron Takac, an instructor in Serbia says ” I remember the seminar in 2011. The instructor was currently one of the most wanted in the shooting industry, and he was talking about rifle disarms. Two guys from Norway said, “There are no guns in our country, we don’t need this”. Not two months later Utaya Island attack happened. Breivik killed 77 people.” There is a long, international list of such events. Gun crimes occur EVERYWHERE in the world. And, ever hear of terrorism? In the “who, what, where, when, how and why” of life, it is important to predict and prioritize your high stat encounters. Even in the NO-gun world around you. Sure. Prioritize, but not ignore realities. It has and will, behoove all so-called, “self defense” practitioners to do some work on, to deal with, hand, stick, knife, gun while standing, kneeling/seated and on the ground. Or just realize what you are doing a sport for a hobby with some very good or perhaps bad abstract benefits. Prioritize. A good instructor organizing a class, thinks of these things as training time minutes and, or percentages. No matter the subject. How many minutes in night class? How many hours in a day class? How many days in a week class, should be spent on any particular subject? It’s the totally ignoring something by way of thoughtless excuses that is a doctrine problem. Sometimes I think about deathbed interviews of people. How many 75 or 80 year-old regular folks/citizens on their deathbed can say, “I’ve never been punched in the face. Why do so many people do these martial arts? Odds are they will never be punched in the face.” Most people. many people. Most people have never been a victim of crime, attacked or punched or shot at. Some cops got through their entire careers and are never punched in the mouth. Is this a “throw-down” excuse not to train…anything then? “Odds are it won’t happen? Why bother with unarmed vs unarmed material, then? Why bother with pistols? Why bother with anything then?